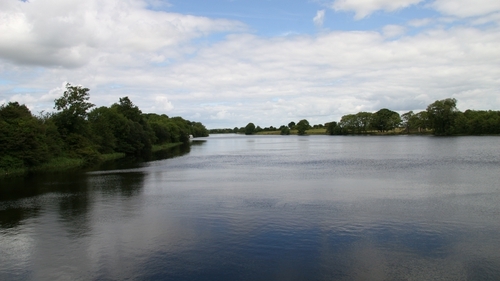 Anglers who fish right across Lough Derg say they are very angry about the proposals by Irish Water to take 330 million litres of water a day from the late to deal with water shortages in Dublin and surrounding counties. Joe O'Donoghue who heads up the Lough Derg Anglers group, which consists of up to 12 anglers' groups located around the lake, said they are fearful about the effect of this proposal on fish stocks and on water levels for boating activities. He said this proposal is a huge concern to them and Irish Water has not been able to allay those fears. He said anglers' groups had been the custodians of the lake for decades, watching the water quality and working with various bodies to maintain fish stocks - particularly when pike disease hit and the harmful influence of the zebra mussel. After all that work then this proposal comes along to extract vast quantities of water without knowing fully the consequences, he said. Mr O'Donoghue said water levels dropped two feet last summer when here was a heavy release of waters by the ESB at Ardnacrusha. He said this caused problems for the movement of boats, not to mind what effect there will be if 330 million litres a day are extracted. It is also against nature and is completely unnatural to extract such huge quantities of water from the lake without there being some long-term damage, he said.